Would you like to know which are the richest Arab countries in the world? In a world where wealth easily translates into power, knowing which are the economic power houses of a region can be quite helpful. The nations presented in this article boast considerable influence on the global stage, especially those who control critical commodities such as petroleum and gas. When it comes to influence, one thing is certain: money can buy you a lot of it. The richest Arab countries in the world have vast investments overseas, making their financial leverage strong. Some have used these economic ties to the West to gain access to advanced military hardware, which the weapons deals between the US and Saudi Arabia have demonstrated time after time. Other nations positioned amongst the ten wealthiest have not followed this strategy, taking on a rather critical stance towards the West, albeit rarely taking a confrontational one. One thing remains clear, these countries are powerful in their respective regions, while their access to valuable resources makes them financially strong and developed. So which countries are we actually talking about here? Well, the nations belonging to the Arab League will constitute our field of inquiry, and they will be ranked according to their GDP per capita, in order to determine the level of their wealth. This will reveal the ten richest Arab countries in the world, and allow us to get a better idea of who wields the most economic influence in the Arab League. With wealth hierarchies in mind, we would also recommend you read one of our previous posts on the top 10 richest cities in the world. Some of these might even be located in one of the richest Arab countries we will reveal in our current list! Classified as an upper middle income nation by the World Bank, Algeria barely makes the list of the richest Arab countries. Nevertheless, its petroleum exports have always been a reliable source of income, as has the production of natural gas. 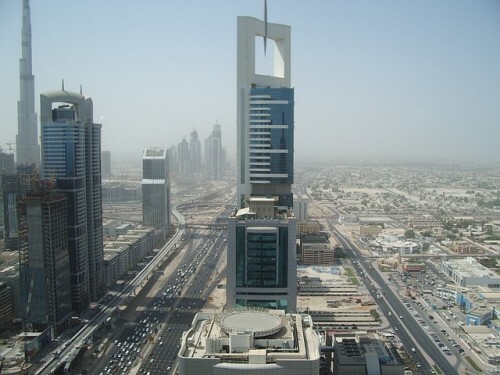 A popular tourist destination is next on the list of the richest Arab countries in the world. Check it out on the next page.